Residents help the JMPD to clear Beyers Naudé Drive this morning, after the protest. Photos: Supplied. Cases of public violence and malicious damage to property are being investigated at Honeydew Police Station. All affected roads leading to Zandspruit are expected to open this morning (25 January) following last night’s commotion and clashes between residents and authorities, Roodepoort Northsider reports. 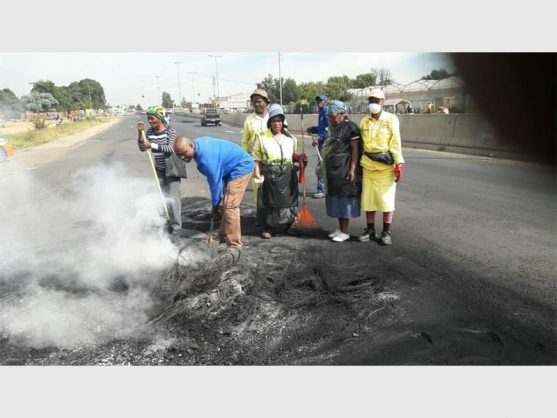 Johannesburg Metro Police Department (JMPD) members, who have been blamed by residents for removing their markers from a piece of land earmarked for development, are busy clearing the aftermath after the residents resorted to burning tyres, looting shops and hurling stones at motorists and authorities. Beyers Naudé Drive, and Peter and Johan roads, were among the routes that motorists were advised to avoid last night (24 January). The Caltex garage in Zandspruit was reportedly looted during the ordeal. Honeydew police spokesperson Captain Balan Muthan told Northsider that a case of public violence and malicious damage to property was being investigated. He confirmed that no arrests were made; however, police are still monitoring the area. Previously, Zandspruit councillor Victor Mafinya had indicated that a big protest was brewing in the area after about 300 residents were prevented from marking off plots on the piece of land. 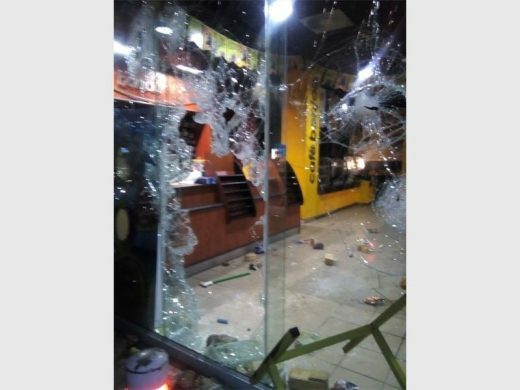 The Caltex garage in Zandspruit was reportedly looted. 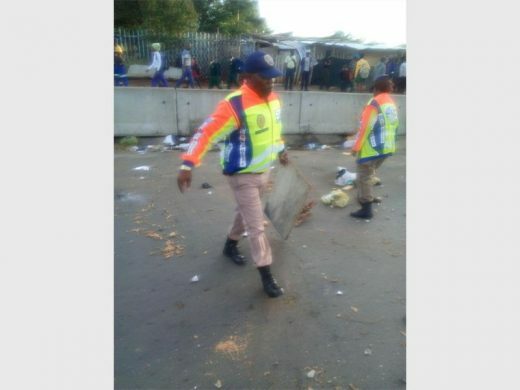 JMPD Superintendent Wandile Mrubata, who is currently at the scene clearing the roads, said they had removed the markers and poles, because the land is reserved for RDP houses. “The MMC for Housing was here [in Zandspruit] to address the community about this issue about a month ago,” he said. The Northsider also approached the City of Johannesburg’s Housing Department for comment last week, but our questions remain unanswered.